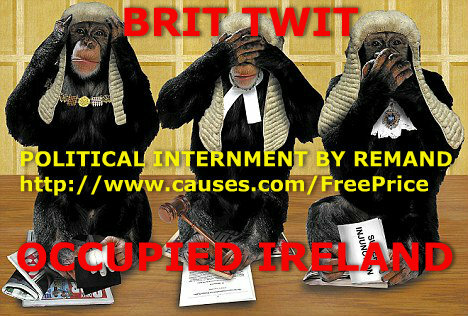 Internment: the story of the last 50 years repression of the Irish by the British. It is the story of internment; of the thousands of men and women who have been subjected to it; of the conditions, the brutality the escapes and the politics of it all. From Frongoch to long Kesh, Mountjoy to the Curragh. From the hulk of the Argenta to HMS Maidstone to Maghaberry and Marian Price's solitary confinement today now hidden by remand with political prisoners all over the island! British Special Courts North and south, administered by collaborators of the Queen's shilling. ?